We’re still diving into the latest Google Now update, as Google tends to slip in features here and there that it doesn’t necessarily list in the changelog. One of those being more control over the traffic card. In past versions, the traffic card would appear before you took off on your daily commute or oft-traveled locations, however, there wasn’t much control over it. In today’s update, that changes for the better. 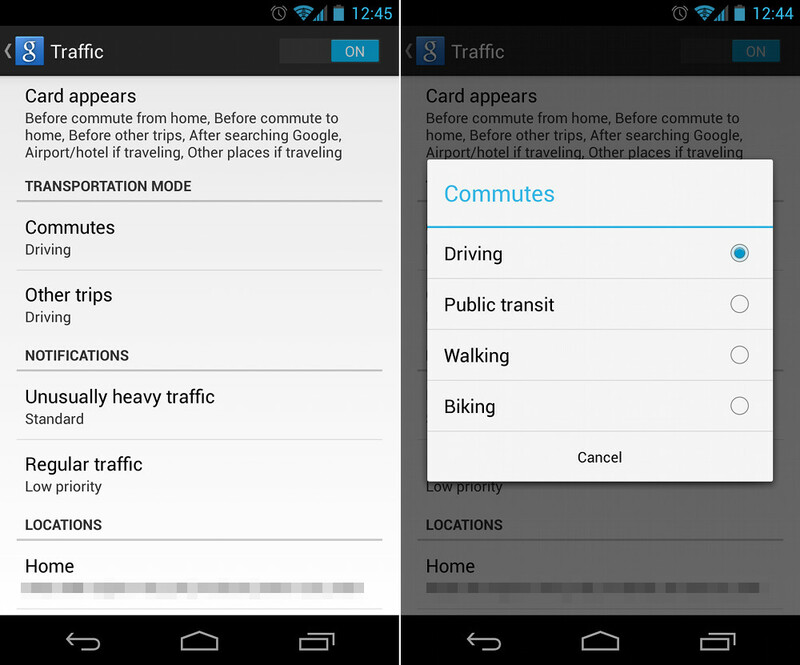 If you go into Google Now Settings>Google Now>Traffic, you’ll see a new “Transportation Mode” section that lets you specify the mode of transportation for your commute or other trips. If you typically take the bus or bike to work, you can tell Google Now to suggest routes based on those transportation types. For other trips, non-commute-related, you can specify similar biking, walking, public transit, or driving options. What else have you noticed in the new Now update?